There is a first for most things in the research field. 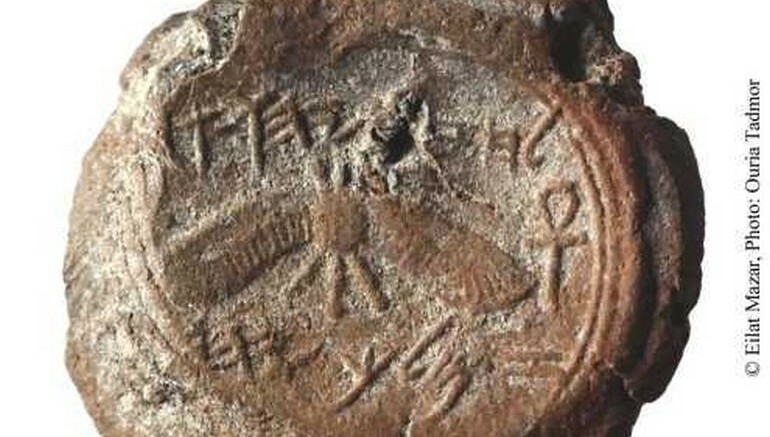 Well this time around, that ‘first time’ is associated with the seal engraving of a Biblical Israelite (or Judean) king encountered by a scientific excavation project. Suffice it to say, this is a remarkably impressive find, with the ancient clay-made artifact depicting a two-winged sun that is flanked by two ankh symbols on either side. 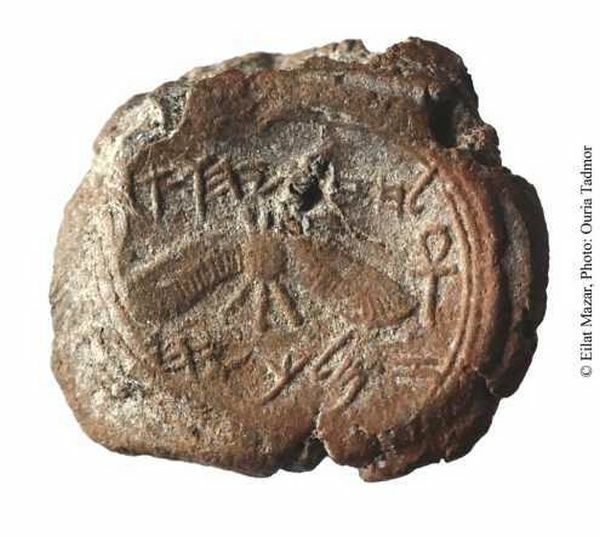 Judging from its construction and date, the seal was probably used for putting official marks on papyrus documents, and was associated with the Biblical figure of King Hezekiah (the ruler of the Kingdom of Judea from 727 BC to 698 BC). In terms of Biblical sources, much has been said about King Hezekiah (Greek: Ἐζεκίας), who was the son of King Ahaz. Much of it has to do with how the newly appointed king made sweeping religious reforms, one of which pertained to the strict worship of only Yahweh, as opposed to venerating other deities within the confines of the Temple of Jerusalem. As for non-Biblical sources, Hezekiah was mentioned as being contemporary to the time when the neighboring northern Kingdom of Israel was destroyed by the Assyrians (circa 720 BC) – though his own Kingdom of Judah was spared from plunder because of timely tributes to Sargon, the ruler of Assyria. However Sargon’s successor Senacherib did unsuccessfully siege Jerusalem in 702 BC, which was under Hezekiah’s protection during the time. Credit: Courtesy of Dr. Eilat Mazar; Photo by Ouria Tadmor. In spite of such regal affairs, the seal artifact in question here was found (by a team from Hebrew University of Jerusalem) in a trash heap near the ancient Temple Mount, just outside the ancient ‘Royal Building’ that was used as a pantry for the complex. Measuring just 0.5 inches across all sides, the object also contains the inscription – ‘Belonging to Hezekiah, [son of] Ahaz, king of Judah.’ Now it should be noted that similarly designed seals were previously found in local antiquities market; but this is the very first time that an official archaeological project has unearthed an artifact of the Biblical king. Now from the perspective of history, Hezekiah was known to use the scarab (or beetle), the ‘standardized’ motif of power in ancient Levant and Middle East. However by the later part of his reign, he turned to the winged-sun symbol, an alteration that might have been inspired by symbols of the invading Assyrians. Interestingly, while the common objects (like jars) depicted the motif with its wings turned upwards, the personal seal of the king conspicuously projected the sun with its wings drooping downward. This might have alluded to the depressed state of affairs during the later part of Hezekiah’s life when he was poisoned by ‘shehin‘ (possibly anthrax). To that end, the ankh symbols probably even represented life, and might have served as a poignant reminder to the Judean ruler. Fortunately for the Biblical figure, the king survived these tumultuous times and lived on for fifteen more years. This was certainly considered as a miraculous event, given the flurry of various ambassadors who came from distant lands to congratulate him on his recovery. And supposedly, among them was the Chaldean prince Merodach-baladan (or Marduk-Baladan), who usurped the Babylonian throne during the contemporary period.